Vital signs monitor. 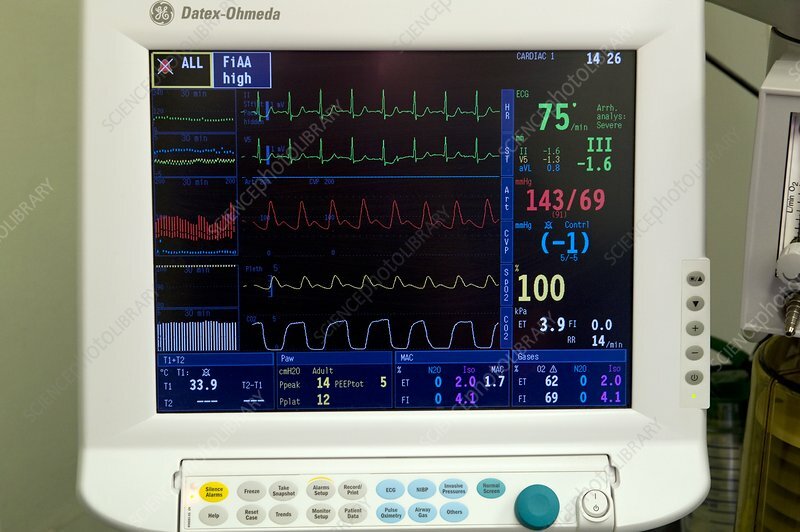 This screen shows a patient's vital signs (cardiovascular and respiratory functions) while they are under anaesthetic. The anaesthetist is responsible for monitoring these during an operation.